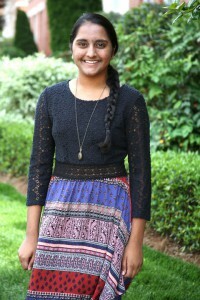 Charanya will be a junior at Lake Norman Charter High School this fall where she is involved with clubs like Pre-Med and Student Council. However, she is already looking ahead to the fall of 2018, where she hopes to be enrolled at The University of North Carolina at Chapel Hill. Charanya plans to major in Biology and Psychology and would like to go on to graduate school where she will study medicine. As a volunteer at the local hospital, Charanya was captivated by the various cognitive approaches doctors took to help patients feel better. By working in the Cheatham Nutrition and Cognition Lab, Charanya hopes to enhance her interest in cognition and in return help others across the world. Olga is a junior at the University of North Carolina at Charlotte. As an undergraduate student majoring in Biology and minoring in Biotechnology, she hopes to make a positive impact in health and wellness. She plans to go on to graduate school and work in a field of medicine and biology. Because she has both research and medicinal application goals, she hopes to expand her knowledge and skills in nutrition and brain development by working in the Cheatham Nutrition and Cognition Lab. She believes that nutrition is the cause and the effect of human quality of life, for its importance could not be more stressed. In the future, Olga would like to use research and her knowledge of medicine to provide aid to those in the US and overseas, and give any means of help in the improvement of the quality of life of those who are deprived of it. 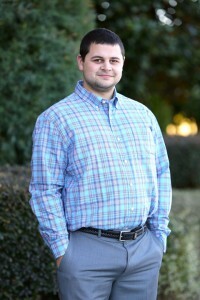 Tyler is currently a student at Rowan Cabarrus Community College working on his second degree in Biotechnology, after completing his first degree in biology. Working in the Cheatham Nutrition and Cognition Lab will enhance his wet lab knowledge and skills. Tyler will go on to obtain a BS in microbiology. As a child Tyler was fascinated by science and after his grandmother passed away from non-small cell basal carcinoma his drive toward medical research increased. In the future he plans to work in the field of medical research and development. >>Are you interested in interning at the Cheatham Lab? Learn more!